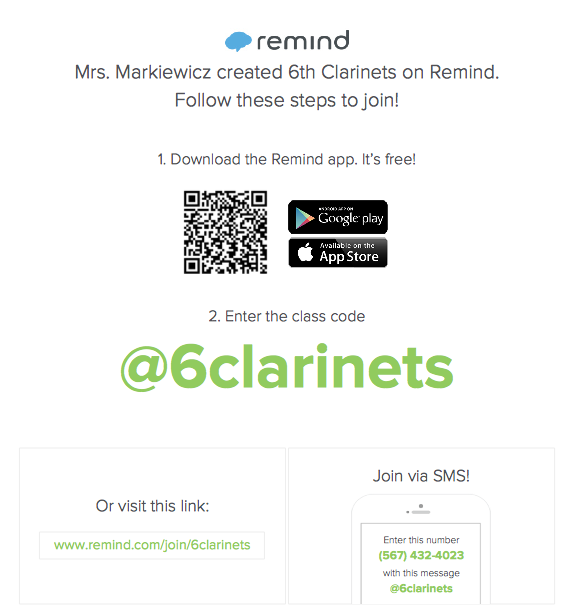 Mrs. Markiewicz created multiple "Remind" pages in an effort to help the band students remember assignments and important events. 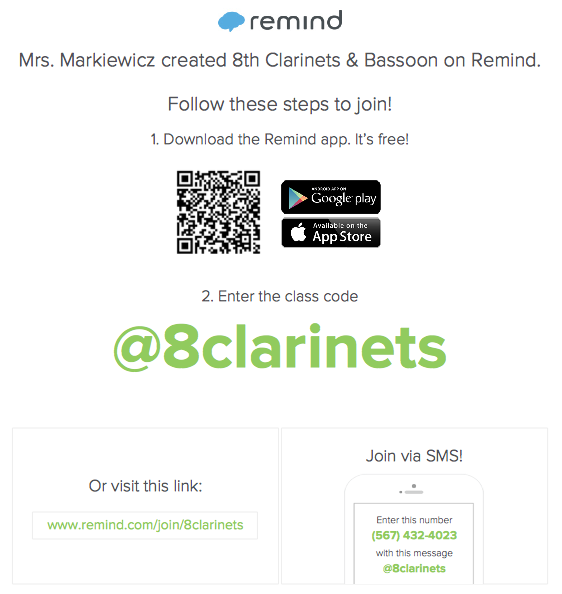 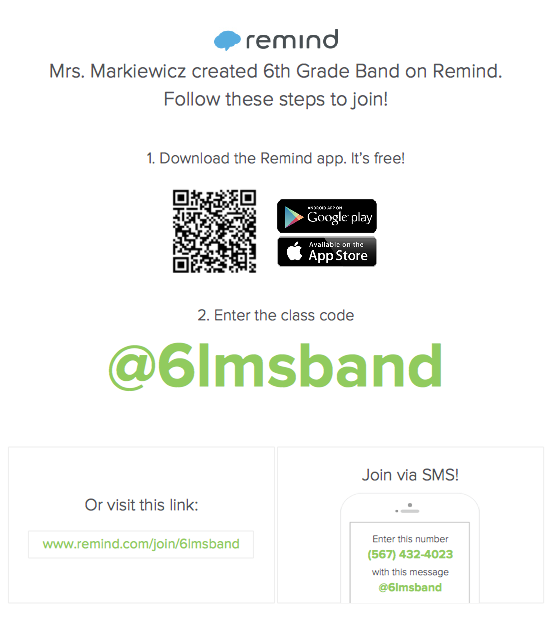 "Remind" is a safe way to communicate with students (and parents) outside of the classroom via one-way text messages and/or email reminders. 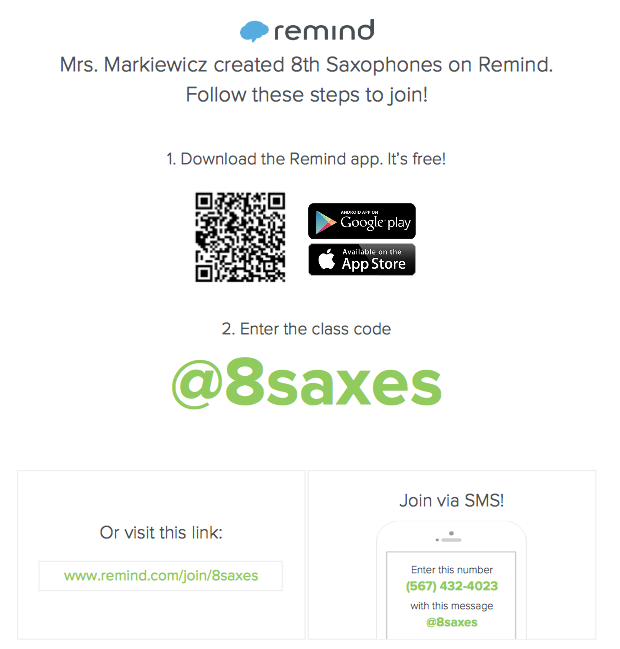 All personal information remains confidential since the teacher can never see a student's phone number nor can the student view the teacher's real phone number. 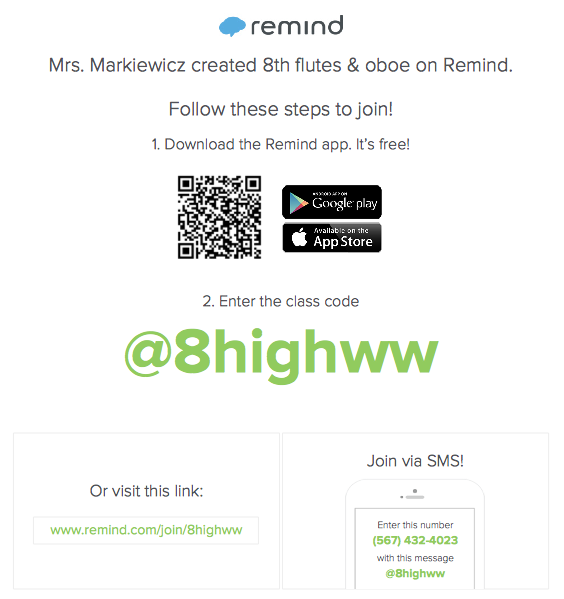 If you wish to receive future notifications, please find your appropriate class code and enjoy the extra little reminder! 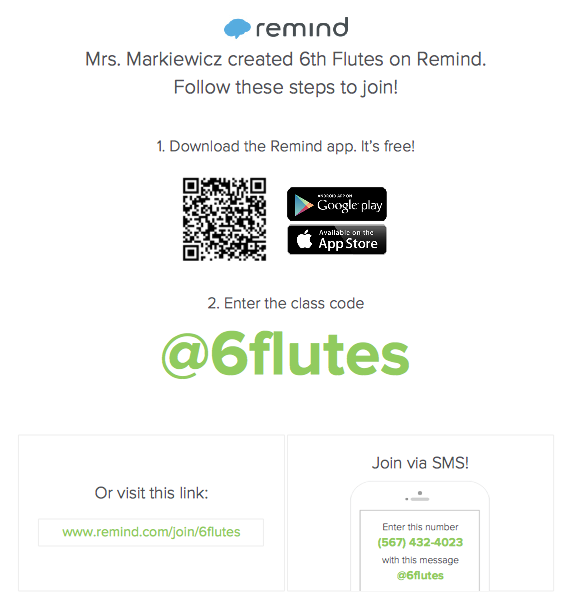 For more information about "Remind," please visit https://www.remind.com or view the brief info overview at the bottom of the page.